Get your first order at Tribe for just £3 with this referral link promotional discount voucher code. This offer is valid for all TroopScout users: serving members, ex-forces, family and friends. Click ‘Get Code’ to open the TRIBE website and get your voucher code. Scroll down and click´ GET STARTED´. Fill in some basic information about yourself and your activity levels, so TRIBE can recommend the right balance of products suited to you. Once TRIBE has recommended a selection of products, you can customise it by clicking ‘Edit’ on the right side. Click ‘Save’ when you’re happy with the list. Select your subscription frequency preference on the right hand side, then click ‘Next’ at the bottom of the page. On the right side, you’ll find it says ‘Got a promo code?’ Click on it and then enter your copied code found on TroopScout into the box provided. Click ‘Apply’. Once your discount has been applied, fill in your personal details, delivery address and payment method on the left side before clicking ‘Checkout’ to finish. Welcome to the TRIBE community. TRIBE is a sports nutrition company focussing on energy boosting bars, shakes and trail mixes to keep you sustained during training. Available on a fully customisable subscription plan or as ‘booster packs’, TRIBE work hard to keep everyone happy. 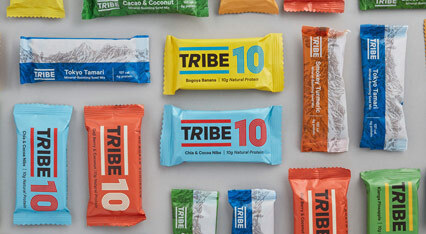 TRIBE offers many different delicious flavour combinations to keep you interested such as bogoya banana, goji berry and coconut, and even chia cocoa nib. What’s more, many are clearly marked vegan, dairy free and gluten free to accommodate differing diets and preferences. For those who want to know exactly what they’re putting into their bodies, the guys at TRIBE have nothing to hide. They have laid bare every product by showing its calorie intake, the ingredients and even the proportion of carbohydrates, protein and fat in each item. Immerse yourself in the TRIBE community, where you can contribute to the blog where other TRIBE customers share training tips and healthy food recipes. You could even take part in weekly TRIBE training opportunities! If you wanted to look the part as well, they also sell a range of great looking accessories and jumpers and t-shirts with their very own branding in their online shop. Take a look now, and join the TRIBE community!